Here is my current asset allocation for all the assets on my balance sheet (just assets; this ignores liabilities). I don't have cars or personal property listed on my balance sheet so it won't show up here either. 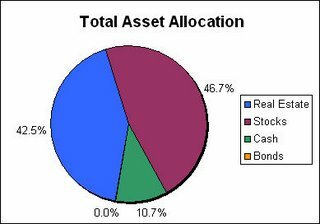 I suspect my allocation has a rather high percentage in stocks compared to most out there. My rental property is my entire allocation to real estate. I currently value it at its purchase price. My 401(k), Roth IRA, ESPP, and taxable investments in a variety of DRIPs are all invested in stocks. I currently own no bonds. I have my short term savings and 0% balance transfers in cash (such as EmigrantDirect). I have a suspection that a majority of those that are truely wealthy share this trait. With the exception of many of the millionaire/billionaires created by stock options or inheritances I bet some form of frugality exists with all of them. IKEA founder Ingvar Kamprad, ranked 4th richest man in the world, drives a 15-year-old car and always flies economy class, in part to inspire his 90,000 employees worldwide to see the virtue of frugality. This article certainly helps with persepctive. It is amazing to me that the 4th richest man in the world drives a 15 year old car. I have been planning on keeping my 7yr old car for at least another 4 years, but if Ignvar can do it, I certainly think that I can keep mine longer too :-). As you probably know, Netflix and Blockbuster both offer these great 30-day trials of their monthly rental subscriptions. I recently completed my free trial at Blockbuster and wanted to share my experience. 1) Sign up - (see below for details), No issues for sign up, they do ask for a credit card and I am always skeptical of a free trial that requires a credit card, but I was able to cancel without charges so it wasn't a problem. 2) Movie Queue - Once I joined I went on a quest to fillup my movie queue so I could make sure the turnaround process was quick. The hardest part was coming up with 20+ movies that I hadn't seen, but wanted to view. 3) Execution. Everything went great. The free trial is for 3 movies at a time so turnaround wasn't problem. I returned one dvd and I would typically get the next one 2-3 mailing days later. 4) Wrong DVD - Out of all the movies I received, one movie was the incorrect one. The label on the shipment had the correct title, but the movie inside was not what I requested. A quick logon to the blockbuster site let me notify them of the wrong shipment and the sent the correct movie to me the next day so it was like getting a bonus movie. Very nice. 5) Cancellation - I canceled 2 days before my free trial was set to expire. The Billing date is clearly marked on you blockbuster account page and there is a link next to it to cancel your membership - it was very easy to cancel. In the end I was able to get 19 movies (+1 for the wrong movie shipped) for a total of 20 movies for $0.00 over the 4 week free trial. Go to Blockbuster.com. Click on "Sign Me Up" button. Select the last option Gift/Promotion Code and enter "AMXHOLIDAY" as the code. Click "Try it now" button. You should see the offer for the 30 day free trial. Update: I forgot to mention that the free trial also comes with 2 free instore movie rental coupons so I was really able to view 22 movies during the free trial. Sorry, I am on a freebie kick today. If you have a dog (my girlfriend has one so I am a proud parent too), sign up for these free samples of IAMS Tartar Treats. Change your own oil? Get 5 Quarts of Valvoline Maxlife Oil free after rebate. I typically change my own oil, but thats only because I have a stockpile of oil I have gotten for free after rebate that I have been using for years. This rebate is apparently also good on Maxline Full Synthetic Oil. If you have someone else change your oil - here is a rebate for $7 off when they use Valvoline Maxlife. 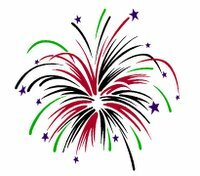 Welcome to the redesigned 2millionblog.com site. Over the last couple weeks I have been focusing my time on trying to take advantage of some of the site's unused real estate and update the site's layout to provide more direct linking to the stuff you are most interested in. I have also been thinking about the future direction of this site and have left some room to "grow" into over time. I hope you will enjoy the new layout. Please take a look around and let me know what you think. 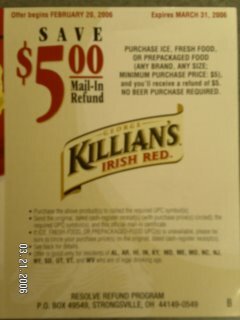 I have previously written about these little known beer rebates, but this one blows the others away. I just found this rebate at the local Food Lion (grocery store) the other day. EmigrantDirect's Online Savings Account has boosted its rate to 4.50% APY. This tops both ING Direct and HSBC as the highest (non promotional/temporary) interest rate available. I have most of my short term savings and 0% Balance Transfers in my Emigrant Direct savings account. Earlier I calculated that the total cost basis for my rental property was $162,042.00. I have done some weekend tax reading and it looks like there are several ways to maximize the depreciable parts of my cost basis. 1) Separate Personal Property from Cost Basis. The only personal property that came with the house is a used oven and a new dishwasher. The improvement ratio will determine how much of the cost basis is part of the Real Property and how much is Land Improvements/Residential Building Structure. I have read the typical way to establish your improvement ratio is by looking at your property assessment for tax records. I have also read that common US home's improvement ratio is between 75%-80% and that you need to be 200% too high for the IRS to levy an overvaluation penalty. According to the county the property is located in, the property tax assessment improvement ratio used is 65.4%. However, I have decided to use an improvement ratio of 75% for purposes of calculating depreciation. Next I need to establish how much of the cost basis if for the land. The land is the only part of my cost basis that is not depreciable. Using the previous defined improvement ratio I can calculate how much of my cost basis was for the land. Reviewing the measurements on the property survey I determined I have about 179.9' of chain link fence in the backyard. I looked in the National Repair & Remodeling Estimator book to get a per linear foot estimate of what the chain link fence would cost. According the book, it would cost $11.90/linear foot to build this fence. Yet again the property survey comes in handy because I can use many of the measurements on the survey to get a conservative estimate of the driveway dimensions. I estimated the driveway is 10' wide by 63' long. I checked in the National Construction Estimator book to get an estimated replacement cost of $5.15/square foot. Finally, I can calculate the cost basis for the Residential Building Structure. If any real estate gurus noticed I missed something please let me know! In 2005 I converted my home to a rental propety. In preparation for preparing my taxes this year, I need to establish my cost basis for the property. I still haven't found a clear answer as to whether a home inspection is part of the cost basis. I have read that a termite inspection fee is part of the cost basis so I would think a home inspection would be as well. However, I have found nothing that suggests a home inspection can be included as part of the cost basis. Regardless, I have added an additional $1,717.00 in my cost basis for this property from closing costs. Update: It looks like I can add home inspection expenses of $325 to my cost basis. The new total is $162,042. I Have Hit a Personal Finance Milestone! This month I have hit a personal finance blog milestone. As you know the focus of this blog is to track my journey to financial freedom. I have defined this goal as a net worth of $2 million plus the value of my primary residence. Since I currently don’t own my primary residence I have to roughly estimate my future primary residence will be worth around $250,000. I am happy to announce I have achieved a net worth that is roughly 10% of my $2,250,000 goal; my net worth has recently surpassed $225,000! This is a big moment for me as it has taken over 4 years of steady focus in regular saving and cost cutting to reach this point. I always thought the first 10% of my goal would be the hardest because I had no base to build off of and most of my net worth accumulation would have to come from savings and cost cutting. I wonder where the next 4 years will take me. I hope I will be able to reach a net worth of $750,000 before then. I wonder if I will be able to maintain my annual savings rates or will I be to find other ways to improve my net worth. Now that I have a good foundation I hope the growth of my net worth will accelerate. Each year more and more of my annual growth will be come from investment returns and less from savings and cost cutting. This is a concern for me. I don’t know if I consider myself a good investor espically given the recent discovery I reported that my total return for 2005 was a measily $2,094. I need to spend more time and effort improving my investment returns. In the past, I have been able to make steady progress by saving more to offset poor investment returns. As investment returns comprise more and more of my annual net worth growth, no amount of additional savings will be able to offset years with poor investment returns.